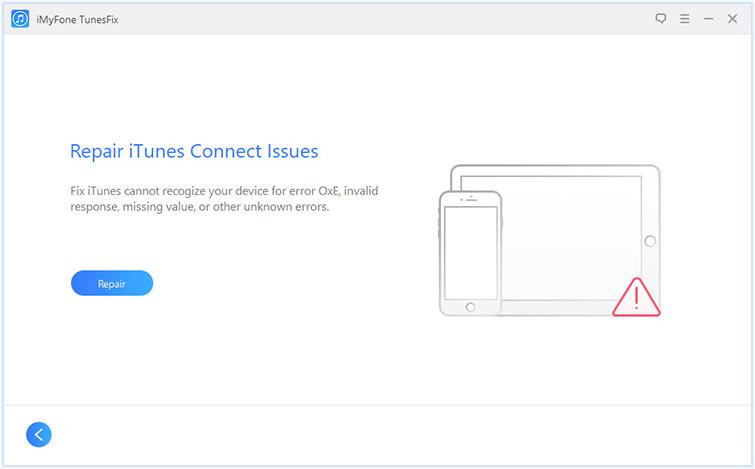 There are various iTunes connectivity issues iOS users face from time to time but one of the most annoying issues iOS users specifically face is iTunes invalid response iOS 12. When this problem occurs, you cannot connect your iPhone to iTunes via USB cable as it gives the error that an invalid response was received from the device. Because of the nature of the error message, it may seem like the issue is related to your iDevice, but there could be several other reasons behind it. Fortunately, there are some things you can try in order to get rid of this error for good. Errors such as iTunes invalid response iOS 12 can be very challenging to solve because the reasons they occur are usually unknown. 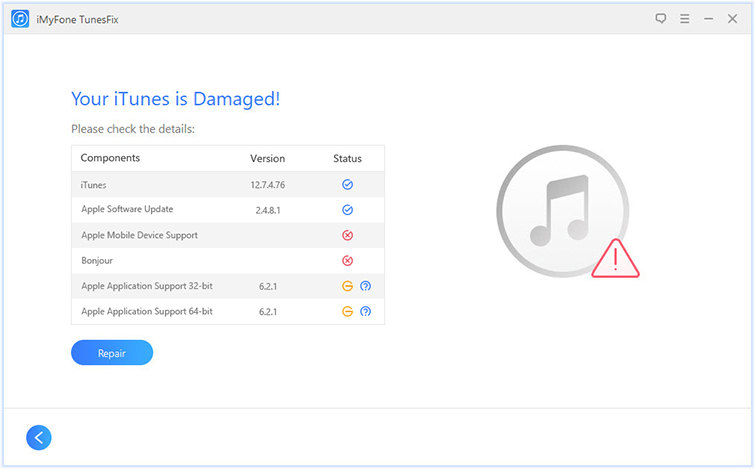 That’s why it is recommended that you use a professional iTunes repairing tool to automatically fix such issues. iMyFone TunesFix is one such tool that you can use to quickly repair iTunes invalid response and many other problems. 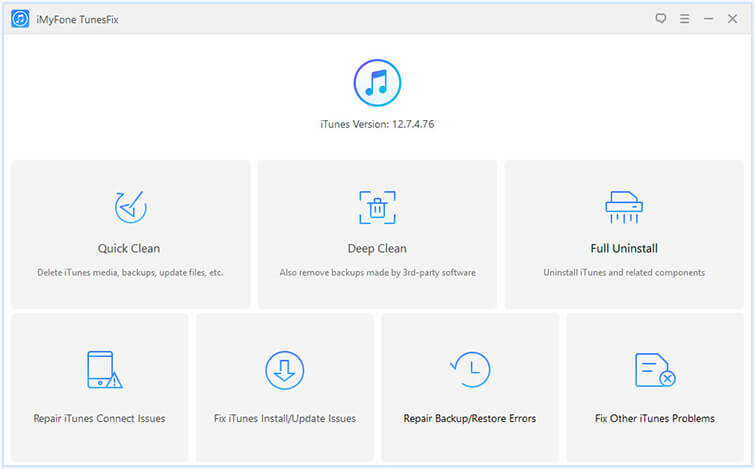 The software automatically scans iTunes at launch and detects the issues which you can then easily repair via the Repair button. Scan and repair 120+ iTunes errors. One-click solutions to virtually all iTunes problems. iMyFone TunesFix is 120% safe as it does not erase any data in your iTunes library when attempting repairs. Optimize iTunes’ performance with a single click. Uninstall iTunes completely via Full Uninstall mode. It also removes leftovers of iTunes and related components after uninstalling them. Step 2: Once its automatic scanning is completed, fix the detected issues via the Repair button. After that, you will see the home interface of TunesFix. Step 3: From the home interface of the software, click on Repair iTunes Connect Issues mode. Step 4: On the next screen, click on the Repair button to start the repairing process. TunesFix may download and install the repair drive from its servers during the repairing process. So, it is recommended that you keep your internet stable during the entire process. iTunes updates bring several bug fixes as well as new features. 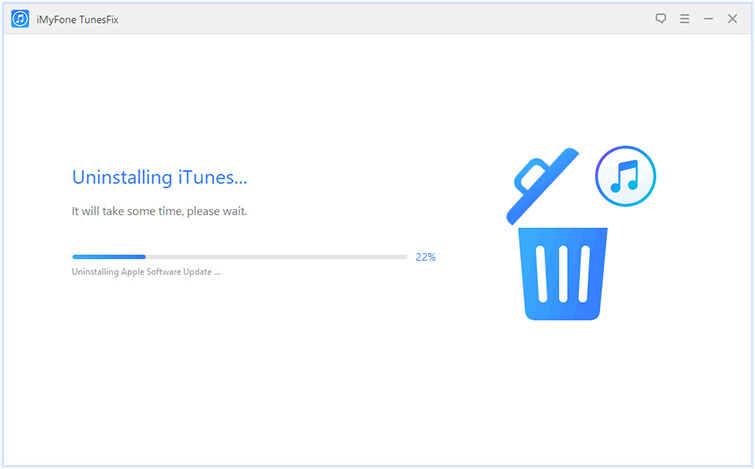 Updating iTunes is likely to solve iTunes invalid response iOS 12 and the best thing about it is that it is quite easy to update from the Help section of iTunes. So, there is no reason not to update iTunes. Step 3: iTunes will now check for updates. 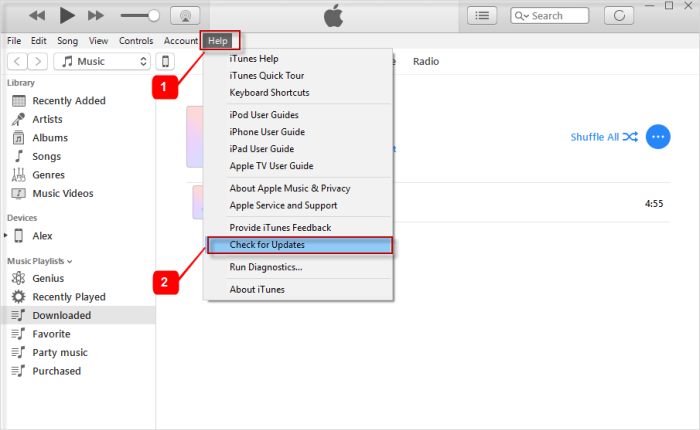 If an update is found, then follow the on-screen instructions to update your iTunes to the latest version. Step 4: After updating, connect your iPhone to your computer. It is likely that iTunes invalid response error will not occur. If updating iTunes doesn’t solve the problem, then it is recommended that you completely uninstall it and then reinstall it. Many users have succeeded to get rid of the iTunes invalid response iOS 10/11/12 after uninstalling and reinstalling iTunes. For convenience, it is recommended that you use iMyFone TunesFix to uninstall iTunes. Step 2: After the initial scanning process, click on Full Uninstall mode from the home screen of the software. Step 3: On the next page, click on the Uninstall button. TunesFix will completely uninstall iTunes and its related components. 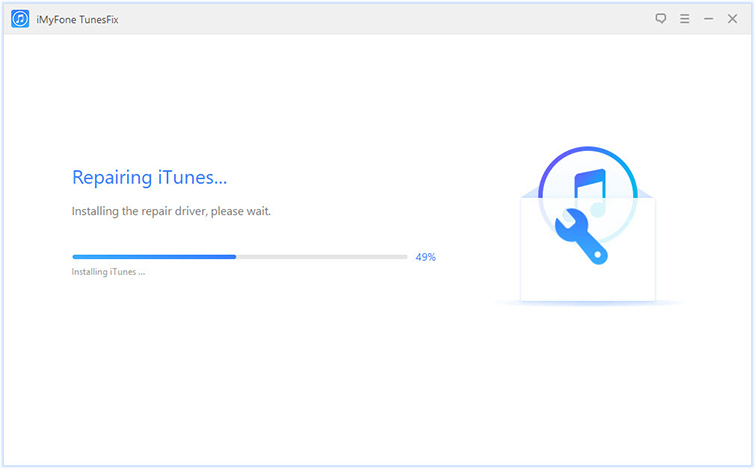 Step 4: After uninstallation, download the latest version of iTunes from Apple’s official website. Step 5: Now install the latest iTunes version and then connect your iPhone via USB cable to your computer. Invalid response error should be solved now. Sometimes using a different USB port of your computer for connecting iPhone solves various iTunes issues such as invalid response. You should also try a different USB/lightning cable if the problem still persists. iTunes Invalid Response iOS 10/11/12 is a very annoying issue as it prevents you from syncing your iPhone’s data via iTunes. If this error occurs, then it is recommended that you use iMyFone TunesFix to repair iTunes first. If for some reason the problem persists, then try the other manual solutions one by one until the issue is resolved.